On June 8, upon the request of Attorney General Douglas Meléndez, a judge in El Salvador issued warrants for the arrest of former President Mauricio Funes and approximately thirty others for alleged corruption and money laundering during his administration (2009-2014). Among the accused are business owners and former presidential employees, as well as several of Funes’ former and current romantic partners, including his ex-wife, former First Lady Vanda Pignato. The Attorney General’s office has been under enormous pressure from the United States government, which is funding a special anti-corruption unit, to produce dramatic anti-corruption results, and Meléndez, who is seeking re-election by the right-wing dominated legislature that began its new term on May 1, has opted to pursue enemies of the right-wing Nationalist Republican Alliance (ARENA) party like former presidents Tony Saca and Mauricio Funes rather than delve into the myriad, well-documented cases of corruption under past ARENA administrations that would directly impact the right-wing party. The Attorney General’s actions have drawn criticism from social movement and civil society organizations, who have repeatedly questioned the Attorney General’s even-handedness. Meanwhile, The Attorney General’s charges describe the movement of $351 million in public funds into a variety of personal accounts of a close network of the ex-president. According to La Prensa Gráfica, Funes and associates are accused of using the president’s Reserve Fund as a cash account to finance “luxuries of the ex-president, friends and families, including trips, clothes, sporting goods, cosmetic surgery, luxury homes, among others,” as well as to purchase properties and businesses. On June 10, a judge in San Salvador held the first hearing against six of the accused; the Attorney General blocked the media from being present. A number of people have been detained, including José Miguel Menéndez, nicknamed “Mecafé” after his coffee business, who headed up Funes’ 2009 presidential campaign, Manuel Rivera Castro, the former president of Banco Hipotecario, one of the last remaining public banks in El Salvador, and Rigoberto Palacios, former presidential accountant. The arrest that has prompted the strongest reaction is that of Funes’ ex-wife, Vanda Pignato, currently El Salvador’s Minister of Social Inclusion. After her divorce from Funes in 2014, Pignato, who is originally from Brazil, remained in El Salvador, where she has been an outspoken advocate for women and for reducing social inequality. 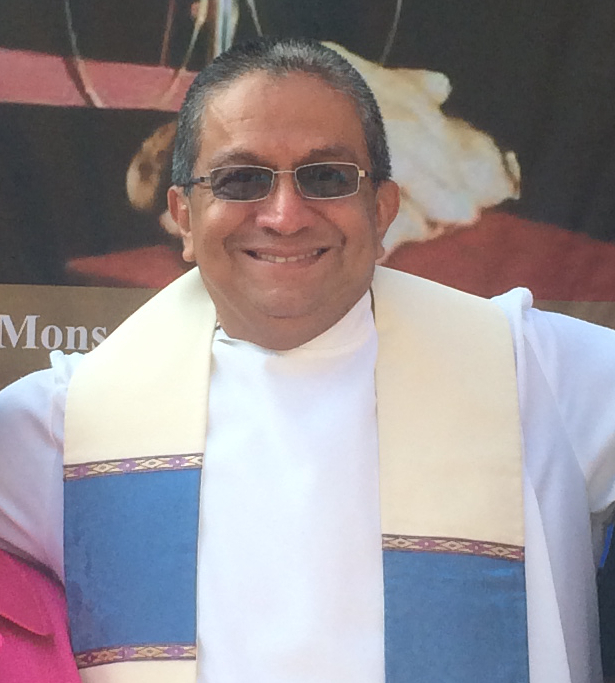 As the Professionals for the Transformation of El Salvador (PROES) pointed out in a recent declaration, “Instead of pursuing and punishing those responsible for feminicides and perpetrators of sexual violence against women and children, [the Attorney General is dedicating his time] to accusing a number of people of acts of corruption and money laundering, without any more proof than the words of a ‘qualified witness,’” noting that Dr. Pignato was already absolved of charges of illicit enrichment in 2017. In the midst of the expected media hubbub regarding the arrests, one of the primary questions that has been raised regards the evidence – or lack thereof – against the accused. Funes, currently exiled in Nicaragua, claims that the Attorney General has no evidence against him, information that was recently confirmed by Jorge Cortez, the head of the Specialized Unit against Money Laundering of the Attorney General’s office. As Cortez told the Diario CoLatino, Funes is “absolutely right” that there is no direct evidence against him but claims that “as in the movies,” he is at the center of a complex web designed to keep his name in the clear. Meanwhile, Funes has also told the media that Miguel Menéndez informed him that he had received visits from representatives of the U.S. Embassy and other U.S. government agencies, pressuring him to testify against Funes. Attorney General Douglas Meléndez has tried to make a name for himself as an independent prosecutor willing to go after those at the top, in part by creating major media spectacles around several high-profile investigations, for example, live Tweeting a search of Funes’ home in 2016, despite the fact that no charges had been brought against Funes at that point. According to Armando Sánchez, president of the Community council in Rutilio Grande, who joined a protest to defend Vanda Pignato, the Attorney General is committing “injustices” by casting sweeping accusations without sufficient proof, trying them in the media rather than the courtroom. “What we’re seeing is a lack of professionalism. The Attorney General is clearly playing a dirty game,” he said. Throughout Meléndez’ three-year term social movement organizations have repeatedly decried his unwillingness to pursue charges against ARENA party members. As Sánchez asked, “Why not try Ana Vilma de Escobar? Why not try those who robbed money from social security?” referring to the massive profits made following the privatization of social security in 1998 under ARENA. In El Salvador, the Attorney General’s position is elected by the Legislative Assembly. Meléndez is up for re-election in 2018 and needs ARENA’s votes to win, suggesting a possible motivation for the timing of the so called “public looting” case. El Salvador’s presidential elections are scheduled for February 3, 2019 and news of a major corruption scandal could have a hugely negative impact on the incumbent FMLN party. Social movement organizations have also noted that the case broke in the news just days after right-wing parties in the Legislative Assembly’s Environmental and Climate Change Commission started working on approving articles of a wildly unpopular bill that would open the door to the privatization of water. Environmental, student, religious and community organizations have been mobilizing constant marches and protests that have spread around the country to defend water as a human right and put a halt to the right-wing’s privatization agenda.